It is like the Race you can to do for Training your Serpent Mount riding skill. After a while you know where to find the circles in the sky. Work in circles from the outside to the middle is I think the best and easy way to do it. Or vice versa. Not sure if others do it at the same moment they use your circles as well. If so, wait till everybody is away ;-) For so far I can see there are plenty circles in the sky, more then the needed 50. I dont think I understand how this works. 10 rings? Sure, that was easy. It might be brand new content but the island is relatively empty right now at 1 in the morning server time. I'm not fighting against other players for ring spawns and to be honest I'm not sure if I'm SUPPOSED to be fighting them for spawns in the first place. Here's the issues I'm seeing and I can't figure out. - Rings spawn when you start. But other players can see those rings and take them from you? - I've seen single rings disappear with no player flying through them... could be that the player isn't loaded yet but I'm running max settings at a little over 100 fps and there's maybe 3 other people in the air with 33 people total in the zone. I feel like this is broken. The rings spawning right when you start seems to tell the tale. I dont understand how other players are stealing my rings when I dont see rings spawn after I've started unless that same ring was spawned for them when they started and they didn't collect it yet either... and when one of us collects it its gone for both of us. Thats horrible. EDIT: Okay so I just saw the '50 rings' achievement. That has to be ALL of the rings. The fact that players can 'steal' them from you is definitely not by design. If you are trying to get the toy: Give up on this until blizzard fixes it, I recommend checking back on Tuesday. So far this achievement seems almost impossible. 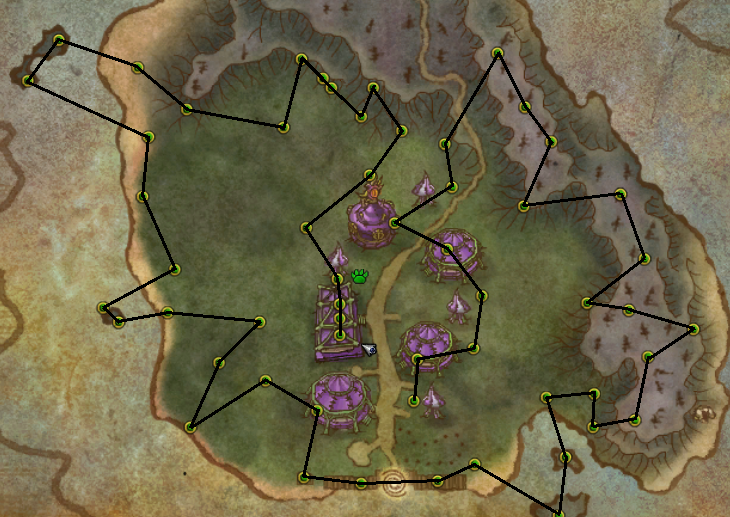 Currently the rings are set up so that there are 50-60 around the island whenever you start your quest, but if you don't take your rings immediately, other people can. And once they disappear they don't respawn until you restart the quest. I believe the 25 is doable, but unlikely on any large server. Unfortunately it seems that hitting 50 is something that you likely couldn't do. While the game is bugged: If you flag yourself as PVP, the people who are not flagged can no longer steal your rings. Only other flagged people can take them. Also, the Day of the Dead costumes seem to help when used while pvp flagged, but I can't guarantee the process is any easier with it for certain. I did get the 50 rings achievement tonight after flagging on a pve server. Has anyone else had the issue where they lose their wings before the timer is up? Is this by design? 1- Put WoW in Windowed Screen. 2- Have one half of your computer screen to be WoW and other half of it to be the browser's map. Obtain: Blazing Wings right upon completing Brood of Alysrazor in your bags. Learn it and possess your own ''Pair of Wings'', accessible via the ''Collection'' tab then under the ''Toy Box'' tab. and has 1 hour cooldown. So personal speaking... If you don't die, as soon as it expire, you use it again. meaning wings will remain on your back for as long as you wish. Stacks with the Legendary Back Wings and Prideful Shoulders Wings. (if your looking at the right time, i guess you could have all 3 wings simultaneously) and make an awesome screenshot of your character. While you can always right click on it and set as ''Favorite'' to have it by the very first ones in your Toy Box's list.